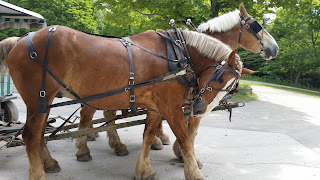 Michele Morris here and I’d like to invite you to come along with me on a tour through time and visit historic Mackinac Island, Michigan. Located between Michigan’s upper and lower peninsulas, Mackinac Island has been a summer destination for hundreds of years. The natives called the island, Michilimackinac, meaning “place of the great turtle”. Most likely due to the island’s humped shape and resemblance to a turtle shell. Throughout the mid-seventeenth century, French explorers and missionaries began to settle the area around the Great Lakes. Especially after 1670 when Father Claude Dablon established a Christian mission on Mackinac Island. A year later, Father Jacques Marquette moved the mission to the northern side of the Straights of Mackinac to the present day city of St. Ignace. Years later, the mission moved again. This time, it was relocated to the opposite side of the Straights of Mackinac where French soldiers would build Fort Michilimackinac, thus establishing a strong foothold in the Great Lakes fur trade industry and a military center. In 1761, the British took control of the fort from the French after their win in the Seven Years War. From 1779-1781, during the Revolutionary War, the British feared an American attack, so they dismantled Fort Michilimackinac. 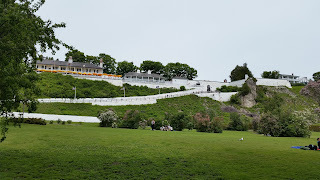 The soldiers moved the garrison high onto the bluff of Mackinac Island. Though the effort proved unnecessary, the island village located below the fort began to thrive, and the island eventually became United States territory as a result of the Americans victory in the Revolutionary War. During the summer of 1812, again war broke out between America and Great Britain. Mackinac Island’s location in the Great Lakes made it a desired outpost and under the cover darkness, British soldiers landed on the north side of the island and completely surprised the American soldiers with an invasion of Mackinac. Quickly the American soldiers surrendered. Two years later, Americans tried to retake the island’s fort but were badly defeated. This is the only battle ever to take place on Mackinac Island. After the War of 1812 ended, John Jacob Astor established the American Fur Company’s northern department headquarters on Mackinac Island, and by the 1820s the fur trade was flourishing. Millions of dollars of furs passed through Mackinac’s Main Street in the 1820s. 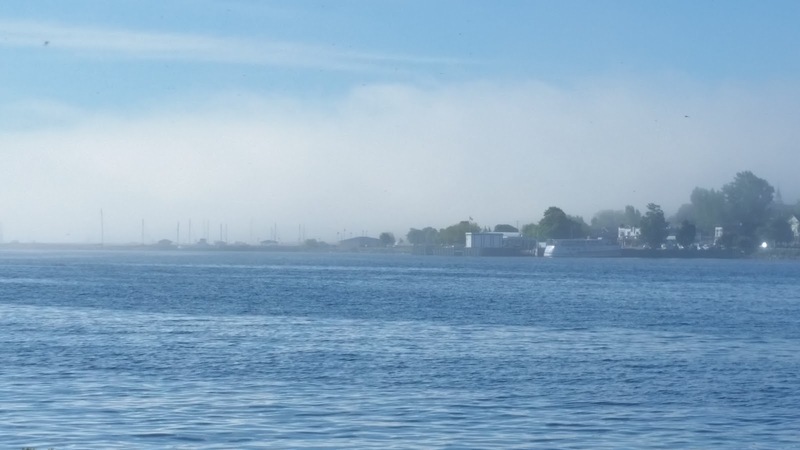 Soon Mackinac Island’s primary industry transitioned to commercial fishing. During the 1830s the population in Detroit, Chicago, Cleveland, Buffalo and the Midwest in general, surged. Great Lakes transportation moved from canoes to schooner and steamboats, thus providing the perfect distribution and market for the angler’s catch. Fort Michilimackinac, now named Fort Mackinac, became more and more obsolete as the United Sates frontier spread westward. 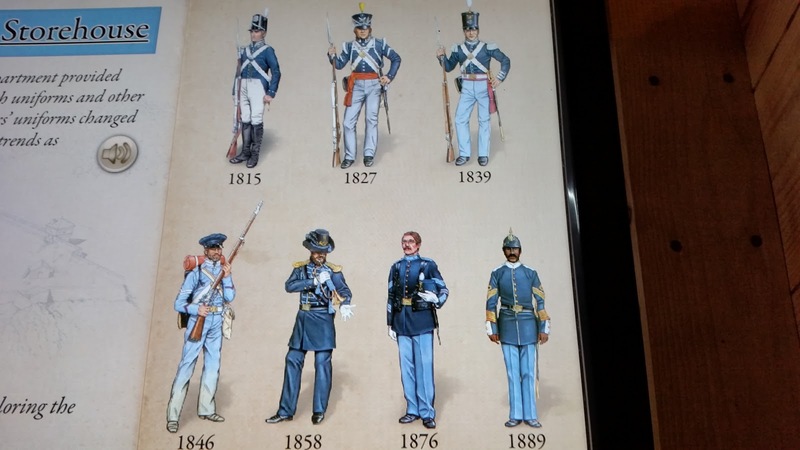 At the outbreak of the Civil War, the fort’s soldiers marched south to join in the Union efforts, leaving Fort Mackinac abandoned except for a single caretaker soldier . 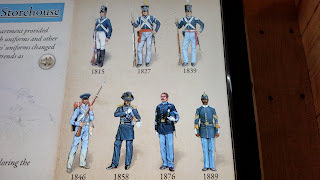 . . With the exception of the summer of 1862 when the fort served as a prison for three affluent and influential confederate sympathizers from Tennessee. That is fascinating! After the Civil War had ended, the United States soldiers returned to Fort Mackinac and with them came a throng of tourist. After a long, grueling war, American’s were looking for a peaceful place to spend the summer months. Mackinac Island was a perfect fit. In response to its growing popularity, the United States created Mackinac National Park in 1875. This was America’s second national park, established only three years after Yellowstone. The Victorians came to Mackinac Island by the boat full. The need for hotels, restaurants, and other businesses to sustain and entertain the visitors added another layer to the island’s growth. The Mission House and Lakeview Hotels were among the earliest established hotels to serve the summer tourists. In 1887, The Grand Hotel opened its doors. The Grand Hotel was a palatial resort style hotel that catered to the rich and famous of the times. Today it is one of the most popular historic destination in the U.S.
One of the most interesting and popular facts about Mackinac is that automobiles are banned on the island. Though the smell is the first hint you receive when arriving, horses are a popular means of transportation. Of course, you may also use peddle bikes or walk where you need to go. This only adds to the appeal of Mackinac, but be careful crossing the streets in town . . . some of those bike riders are crazy drivers! My family and I visited Mackinac Island this summer. We fell in love all over again with the history and charm of the area and hope to return very soon. If you’re ever in northern Michigan, Mackinac Island is a “must visit” location. If you have already had the pleasure of visiting this charming island, please tell us your favorite place to go while there, or maybe your favorite thing to see. I'd love to hear from some frequent Mackinac Island visitors! Oh, I almost forgot—no matter how Mackinac is spelled (Mackinaw or Mackinac) it’s always pronounced –aw–. I've heard a lot about this island but never visited it. I didn't realize it had such a rich history. Thanks for sharing about it, Michele. It is my pleasure to share about Mackinac Island. The island is steeped in Michigan and American history. It's is a fun place to visit. Thanks for the comment! Hi Kim, It really is a fun experience. Mackinac Island is unlike any place I've visited before. Thanks for stopping in today and for the comment. I would love to visit Mackinac Island. The closest I've come is the Henry Ford Museum in Detroit. Now that we live in Denver, traveling to Michigan would be quite a trip! 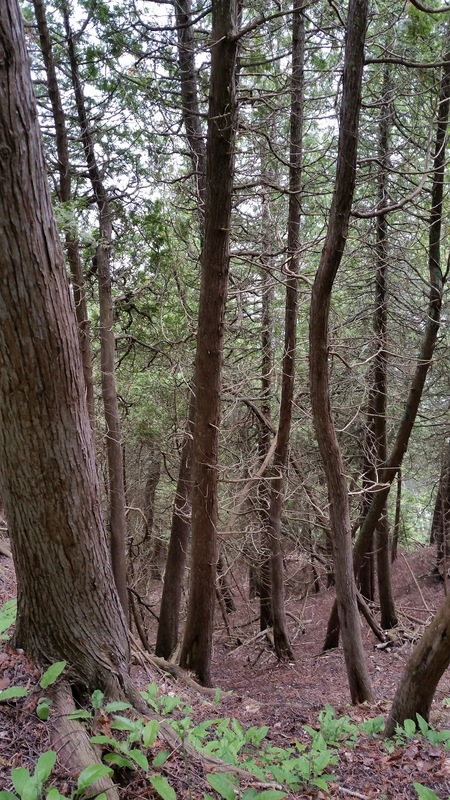 I've read a couple Christian fiction books that were set on Mackinac Island. Very interesting. Hi Donna. It would be a long drive from Denver to Michigan! My SIL just returned from a trip to Dever and it sounds like you have your fair share of beautiful sights. Thanks for the comment! I enjoyed your post, Michele, and would love to visit Mackinac Island! 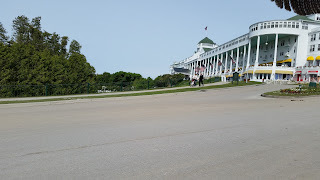 We had the pleasure of visiting Mackinac this summer, something that was on my bucket list. I loved seeing the Grand Hotel in person. But we spent about two hours at the fort because they had so many interesting and interactive things to do and our grandson loved it.